Pediatric Dentistry services in Sumner, WA. At Smile Surfers, it’s our goal to prevent oral health problems. This includes using preventive measures, such as sealants and fluoride, to ensure your child’s smile is healthy and free from cavities. 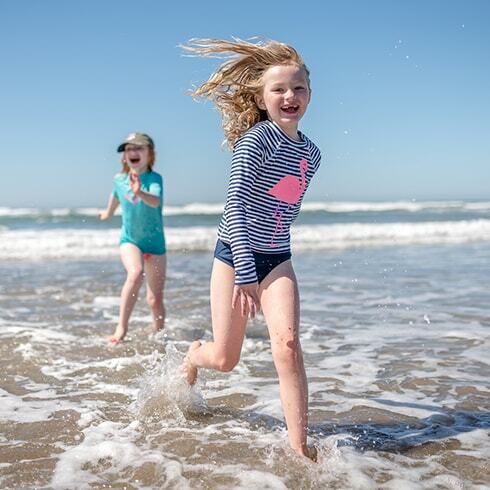 We’ll treat your little surfers gently and explain every step of their dental care in age-appropriate, child-friendly terms. It is our goal for kids to develop and maintain a positive association with dental care. We do this by providing pediatric dentistry services while working in close proximities with orthodontic professionals. Working one-on-one with the best orthodontists in Sumner, WA. So glad I brought my son here! I had gone to a few different ones and I have to say Smile Surfers is the spot to go!! They are all sweet and the dentist was so helpful and didn’t suggest anything that my son didn’t need to be done. Definitely staying with them!